During the September school holidays, pencil in a day trip to the Old Cheese Factory in Berwick on Wednesday 21st September 2016 for an event aimed especially at kids - Dinosaur Day Out. Wear your favourite dino T-shirt, or dress up as your favourite pre-historic creature to get into the spirit of the Dinosaur Day Out. 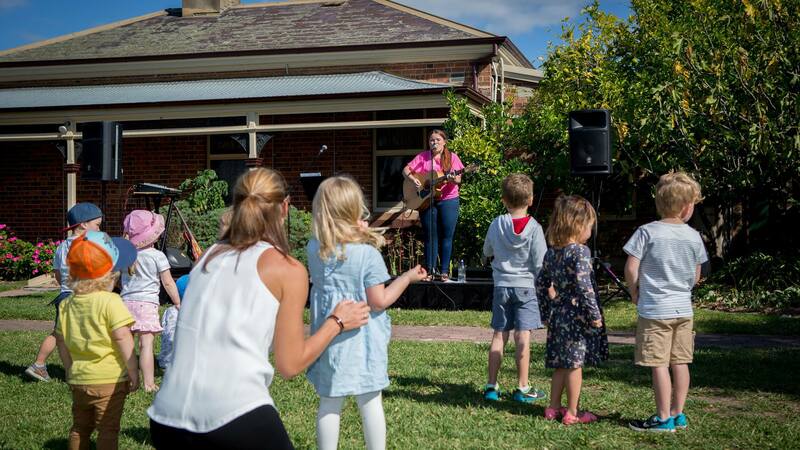 Bring your family and friends for an afternoon of music and fun, family friendly activities, in addition to the permanent playground structure for lots of healthy active, outdoor play. Everyone is free to run and explore the beautifully landscaped gardens and the Homestead Café will be catering lunch packs for the kids and mini platters for the adults. You are also welcome to bring your own picnic and throw down a blanket. Organisers strongly recommend pre-ordering lunch packs and platters by contacting The Old Cheese Factory on 9702 1919. However, food will be available to purchase on the day. Dinosaur Day Out is being held on Wednesday 21st September 2016 from 11am to 1pm at the Old Cheese Factory, 34 Homestead Road, Berwick. Entry is by gold coin donation only. Find out more on the City of Casey website by following the link here. The historic buildings located at The Old Cheese Factory, which was originally part of the Springfield Estate, are a step back in time for visitors. Surrounded by beautifully landscaped gardens there is a playground for kids, BBQ and picnic facilities and the Homestead Café, making it the perfect place to visit either during the week or school holidays. The facilities at The Old Cheese Factory are available for hire for social functions and birthday parties, weddings, meetings and conferences, gallery exhibitions, community group meetings, activities and more. The Old Cheese Factory is also home to a number of activities including arts and crafts, performing arts and farmer's markets. The park is open 10am to 4pm, seven days a week.